They are, of course, the picture of health. But believe it or not, Olympic athletes are more prone to suffer from asthma than the general population. More than 20 percent of the U.S. Olympic team competing in the 1996 Atlanta Summer Games reportedly had asthma. 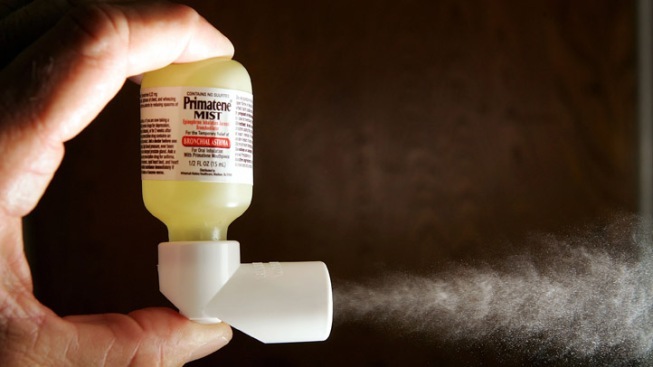 Doctors aren’t quite sure why so many athletes have asthma. “It could be that since athletes recognize how critical good lung health is, they may just seek and get a better diagnosis,” said Dr. Jackie Eghrari-Sabet, of Family Allergy & Asthma Care in Gaithersburg, Md. There will be 32 sports represented at the London Games. Are athletes competing in certain sports more prone to suffer from asthma than those in other sports? Dr. Jackie also said the Winter Games tend to pose the greatest health challenge to asthmatics because of the cold, dry air. Track and field events are some of the most popular events in the Summer Games. Doctors say asthmatics competing in those events are at risk of suffering exercise-induced bronchospasms. Marathon runners and cyclists don’t have to contend with humidity at the pool, but they do have to deal with pollution and pollen. London is a city where pollution can pose a problem. “The hope with these games is that if the temperatures are lower and there’s a lot of rain, the runners and cyclists with asthma may do better,” according to Dr. Jackie. Treating Olympic athletes who need asthma medications can be tricky because of drug restrictions. First of all, athletes have to put in applications to use their meds. The lesson we can all learn from Olympic athletes is that even if you are managing an illness or disease, the sky can be the limit, as long as you’re disciplined and do what you’re supposed to do. Don’t use asthma as an excuse to be a couch potato.